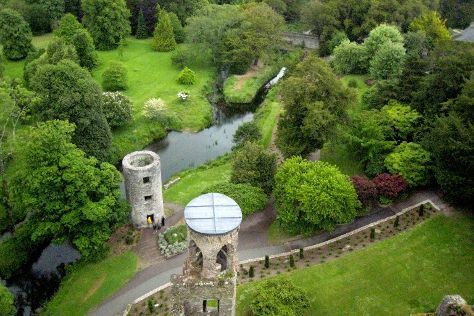 You've added University College Cork (UCC), The Crane Lane Theatre, Cork Arms, and other attractions to your itinerary. Kick off your visit on the 21st (Wed): don't miss a visit to University College Cork (UCC), take an in-depth tour of Cork City Gaol, appreciate the extensive heritage of Blarney Castle & Gardens, join in the after-dark buzz at Sin e, then get a taste of local nightlife at Cork Arms, and finally catch a live performance at The Crane Lane Theatre. Keep things going the next day: take an in-depth tour of Old Head Signal Tower and Lusitania Museum, steep yourself in history at James Fort, steep yourself in history at Camden Fort Meagher, make a trip to Collegiate Church Of St. Mary, then kick back and relax at Ballynamona Beach, and finally sample the fine beverages at Jameson Distillery Midleton. To find maps, traveler tips, reviews, and tourist information, you can read our Cork journey builder . New York City, USA to Cork is an approximately 13-hour combination of bus and flight. You can also do a combination of bus, flight, and train; or do a combination of flight, bus, and train. You'll lose 5 hours traveling from New York City to Cork due to the time zone difference. While traveling from New York City, expect slightly colder days and about the same nights in Cork, ranging from highs of 50°F to lows of 40°F. Finish your sightseeing early on the 23rd (Fri) so you can drive to Killarney. Your day-by-day itinerary now includes The Shire Bar as well as Courtney's Bar. 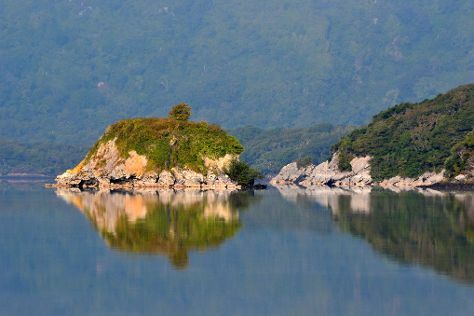 Kick off your visit on the 23rd (Fri): explore the wealth of natural beauty at Killarney National Park and then join in the after-dark buzz at Courtney's Bar. On the 24th (Sat), you'll have a packed day of sightseeing: shop like a local with Peter Cox Photography Gallery, take in the spiritual surroundings of St. Mary's Cathedral, hike along The Kerry Way, then steep yourself in history at Stone Circle, and finally get a taste of local nightlife at The Shire Bar. To find where to stay, traveler tips, maps, and tourist information, read our Killarney travel itinerary planner. You can drive from Cork to Killarney in 1.5 hours. Alternatively, you can take a bus; or take a train. In November, daytime highs in Killarney are 52°F, while nighttime lows are 42°F. Finish your sightseeing early on the 25th (Sun) so you can drive to Galway. Your day-by-day itinerary now includes Bierhaus Galway as well as O'Connor's Famous Pub. On the 25th (Sun), pause for some serene contemplation at Royal Abbey of Cong, steep yourself in history at Monk's Fishing House, enjoy the sand and surf at Salthill Beaches, then get to know the fascinating history of Riverside Walk, and finally get a taste of local nightlife at O'Connor's Famous Pub. On the next day, see the interesting displays at Michael Davitt Museum, then contemplate the long history of Rathcroghan Royal Site, then see the interesting displays at Derryglad Folk and Heritage Museum, and finally get a taste of local nightlife at Bierhaus Galway. To see ratings, other places to visit, photos, and other tourist information, use the Galway trip itinerary builder site . You can drive from Killarney to Galway in 2.5 hours. Other options are to take a bus; or take a bus. When traveling from Killarney in November, plan for little chillier days in Galway, with highs around 47°F, while nights are about the same with lows around 38°F. Wrap up your sightseeing by early afternoon on the 27th (Tue) to allow time for travel back home.